The Townsville visitors who joined us at our Open Water Triathlon gave us the thumbs up! We managed to turn on a tougher than usual swim for them because of the high tide, and they loved the bike & run course. We also had a number of new members completing their first triathlon - always inspiring to share their achievement and enthusiasm. Well done, hope to see you at another event real soon! Results: Apologies for delay, we hope to have results out Friday (volunteer results guru interstate). 2. On behalf of the club, Tony thanked outgoing committee members (Belinda Townend, Justin Tranter & Steve Goat) for their valued contribution. Steve served a period on committee, then as President and most recently as junior coordinator. Belinda has been the gem behind organising social functions during her time on the committee and Justin assisted on a number of subcommittees. 4. We welcomed two new committee members - Melissa Lind (Juniors) and Roger Decurtins. Entry will opens shortly - setting up a series entry so you can enter all three events in one go. 1. This is the first event of our three race Super Sprint Series. A Super Sprint Handicap to follow after that based on times. 2. You can see that the roster is short on volunteers & this is repeated across all four events at the moment. 3. Please check the Calendar asap and volunteer where you can so we can ensure our events go ahead. 4. For those with long memories, the Race Director position is as easy as compared to a few years ago. Sanctioning & permits are all done, water safety & ambulance attendance is pre-organised, swim buoy positions are permanent and there are always experienced people around to mentor those RD-ing for the first time. 1. 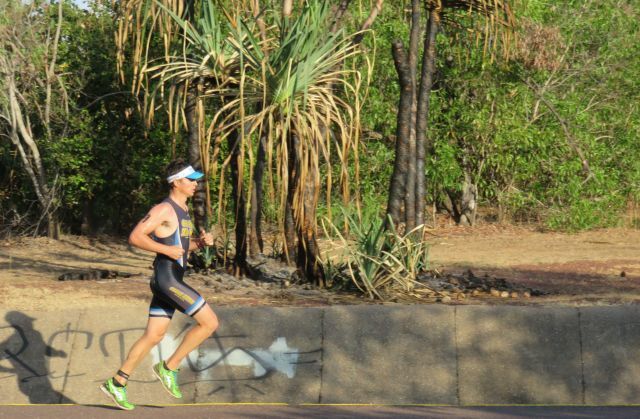 Ange Castle & Jamie Hagan are super excited to be heading back to their old stomping ground for Ironman 70.3 Sunshine Coast. 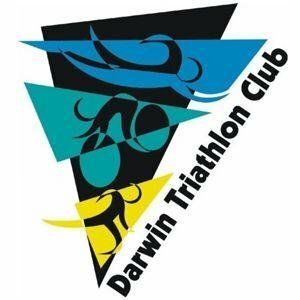 They have been members of Caloundra Tri Club since its inception a few years back and being a fun, friendly and welcoming club, they have invited Darwin Triathlon Club members to join them at the club tent for the event. 2. Perhaps we can call ourselves sister-clubs as Jason & Emma Cook swapped clubs at very similar time (we do like to give back) & Jason has also reiterated this invite from their new club! 3. The blue club marquee with the ibis symbol will be sitting atop the Alex Heads hill, very near the intersection where the bike course heads inland - perfect spot! The club esky and barbie will be pumping with cold drinks and snags at a few bucks a pop. The marquee will be set up from the evening before so it is available before, during and after the race. 4. Thanks to Caloundra Tri Club for this invite to members. 1. Run With Dad Father's Day Fun Run this Sunday. 2. Thanks to those who nominated DTC for the Super Tuesday Bike Count including Clare Labowitch, Robyn Stanley, Tony Cox & John Cowie. The club will receive $50 for each nomination. 3. Reminder that our Junior Event originally scheduled for this Sunday has been cancelled due to venue clash with Run With Dad fun run. 4. Countdown to Bali International Triathlon 25 October 2015. There have been some cheap flights on offer. DARWIN TRI - BUY | SWAP | SELL | WANTED Facebook page. Lots of new items posted over the past few days so worthwhile having a look. 6. Club tees are selling well and we are most out of small men's stock. We will have them for sale again at our next event and definitely have the larger women's sizes on hand.